Russian blogger Ruslan Sokolovsky has landed himself a place on the terrorist and extremist watchlist for playing Pokémon GO in a church. “Sokolovsky has been included in the list of terrorists and extremists — his number is 5847, and there are 7,524 people listed there. All his bank accounts were blocked,” one of Sokolovsky's lawyers, Alexey Bushmakov, wrote on Facebook on Friday. 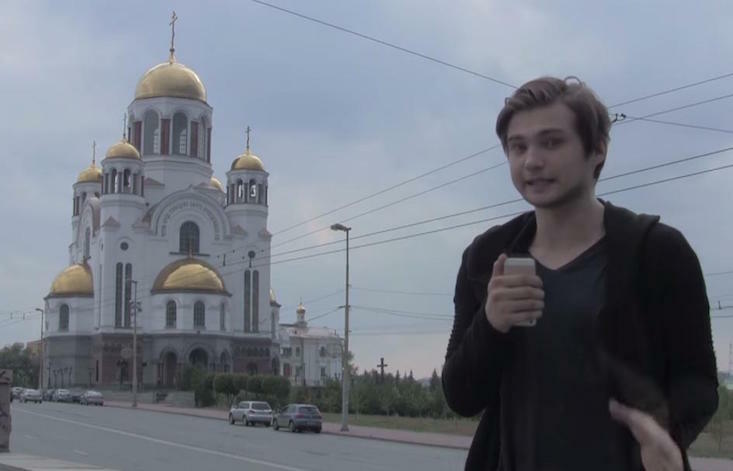 Sokolovsky was arrested in September 2016 for inciting religious hatred, after he posted a video of himself catching Pokémon in an Orthodox church in Yekaterinburg. In May 2017, Sokolovsky was given a 3.5-year suspended prison sentence, which he was able to commute to 2 years and 3 months. A Yekaterinburg court found the 22-year-old blogger guilty of insulting religious believers and inciting religious hatred, charges to which the blogger pleaded not guilty. Sokolovsky's arrest and subsequent detention have been the subject of sharp criticism from human rights groups such as Amnesty International, which dubbed his trial a “farcical attack on freedom of expression”.